Not only that they have pulled the entire investigation off the website too?? I wonder why they removed it before the trial had finished... was it because people had remarked on the Waitrose CCTV?? The image I have attached is from the Mirror Newspaper..... It shows what could be two people following Joanna Yeates on Friday 17th December 2010..
How long does it take to walk from the Hopwood House to Canynge Road ?? She apparently stopped to exchange pleasantries with a priest.. So what time would she have arrived home ?? The Mirror has also learned a police technical expert made two visits to the Quinton House pub, where Jo is believed to have walked past shortly after making her first stop at a Waitrose store 150 yards away. Why have we not seen anything in relation to this .. if the Police are following her every movement home!! One worker, who asked not to be named, said last night: “The police made an initial inquiry about our CCTV the day after Jo was reported missing. “Then after her body was found a member of the police technical support unit came to collect the CCTV footage three days ago. It amazes me daily that I can still find things out!! Well there more CCTV footage hidden from view..... Colin Port reveals in the Leveson Inquiry.. So the woman and child are still behind Joanna Yeates .... So who were the woman and child and what had they seen...??? Why make the statement sound like Joanna Yeates had passed the woman and child!! And the Hophouse is on King's Road ..(If I'm correct).. So it's a minutes walk from Caffe Nero to Kings Road and the camera most probably would have given a clearer image of Joanna Yeates.. If it only takes seconds to walk past from Caffe Nero to the bottom of King's Road where the Hophouse CCTV captures Joanna Yeates... Why hadn't the Cafe Nero CCTV picked up the same 2 people walking past... and where were the woman and child on this Hopwood house CCTV??? Quick question:? Who's the Deputy SIO on the case ???? Could that be DC Mark Luther ???? Again it sounds reasonable...... But... not sensible.. now that Colin Port has revealed the existence of the Cafe Nero CCTV footage !!!! He should have said ....As they were not in the CCTV footage from Cafe Nero... we deduced that they most probably were NOT following her by the time they passed the CCTV of the Hophouse !!! Well if they weren't in the CCTV footage of Cafe Nero... then they probably weren't following her .... So why mention them!!! Ms Yeates had been found. I'm just not 100% sure what it is..... Nobody looking at the CCTV Footage from The Hophouse Pub is looking for anything other than a "Woman in a White Coat"... and that is exactly what you see... A light coloured Coat..... But What was the "Woman with The Child"... WEARING?? Edit... click on last image... There appears to be something in front of the person in the light coloured coat..! Is the image which is supposed to be Dr Vincent Tabak driving on Park Street him ?? What Times did he enter ASDA?? Now if the person on the CCTV image is Dr Vincent Tabak... Then did he go home and come back to ASDA???? Because when he first enters ASDA at Bedminster he has a Black looking top on and when he is shopping down the aisles, his top is clearly red!!! (1): Dr Vincent Tabak visited Asda on TWO very Different Times ?? 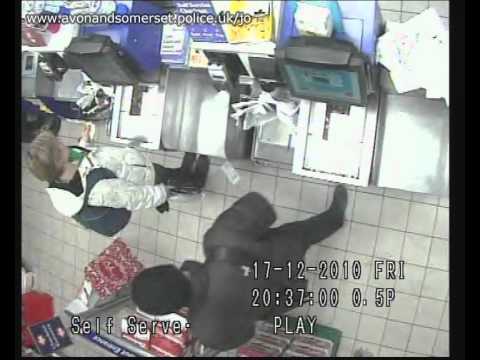 (2): Or that isn't Dr Vincent Tabak who they captured in the ASDA CCTV ?? Some, including the Berkley Wetherspoons pub, said police had looked at their videos, but not found any images of Jo. One bar manager, who did not want to be named, said: “Police had told us they were going to check all the shops and bars on her route home. “They want to make sure they get all the pieces of the jigsaw, to try to find out what happened to her.” The All In One bar said officers had also asked them to check through CCTV and ordered managers to get in touch if any stills of Jo came to light. Police had been in to check videos at Antix bar and The Elbow Room as well as a nearby Sainsbury’s store. During Jo’s one-mile walk home she stopped at Waitrose, where she bought nothing, and then a Tesco Express. Now.. If The Police were aware of Joanna Yeates Journey Home.... Why are they checking all these "Late Night Bars" ???? This article s 28th December 2010....... Does this mean that there "WAS".... something in CJ's second witness statement???? If they have coverage of her being in "The Ram" why did they think she went into 2 more Bars minutes apart??? Or did she go back out that evening?? My question has to be .....Where are the CCTV images of Dr Vincent Tabak driving to ASDA in Bedminster ??? There has to be CCTV images of "This" Journey... "The Prosecution" should of had a field day with images of his car "Driving to ASDA in Bedminster".. apparently with Joanna Yeates in the boot of his car !! So Looking at "The Joanna Yeates Clip..... Can we be certain that she was in "Tesco's" at 8:37pm ??? The only way to know for sure "What Time "Joanna Yeates " was sin "Tesco's" on the 17th December 2010 is to see The Reciept For The Pizza !!!!!! All the images show a red inner garment. I suppose the isle clip is more distinct as he opened his coat a little more.